NORTH ADAMS – The visiting Framingham State University women’s lacrosse team received goals from twelve different players as they defeated the MCLA Trailblazers 17-4 Saturday afternoon at Shewcraft field in Conference action. With the win, the Rams improve to 14-2 overall and are 5-1 in the league with a game with Mass. Maritime Sunday remaining. MCLA ends its season at 1-9 overall and at 0-7 in the league. 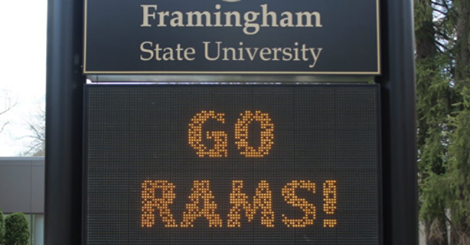 Freshman Alissa Marino scored three goals to lead the Ram offense while junior Bailey Donelly, a Framingham High product, collected two goals and four assists for a game-high six points. Senior Kristen Keenan and sophomore Grace Gamache added a pair of goals each. MCLA was led by Cutler and Kim Granito who each scored twice. The Rams controlled play in the opening half as they jumped out to a 12-1 halftime lead. Marino scored two goals in the half while Donelly scored one and assisted on four others as the Rams built a commanding lead. MCLA finally got on the board on a Granito marker with 8:37 left to play in the half, but the Rams scored the final two goals for the halftime lead. Cutler scored her two goals in the closing half, both on free position shots for MCLA. Zoe Elwell stopped 13 shots in goal for the Trailblazers. 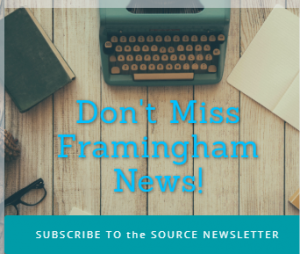 Junior Indigo Fox Tree-McGrath earned the win in net for Framingham. Freshman Mikayla Seavey relieved her and played the second half. Neither keeper recorded a save as the Rams outshot MCLA 34-5 in the contest.